Toybank is partnering with the Rotaract Club of Churchgate (RCC) in distributing toys to 150 children from Drishti tomorrow! The Cricket match takes place tomorrow at the historic “Brabourne Stadium” ! You are free to go there anytime as per your convenience.Cost: Rs.30/- for each ticket (goes to Drishti). 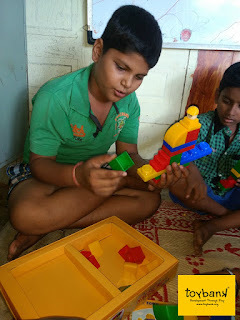 "This is Aphexa and I am a fresher at Toybank. I strongly believe in the motto “TOGETHER WE CAN BE THE CHANGE”. 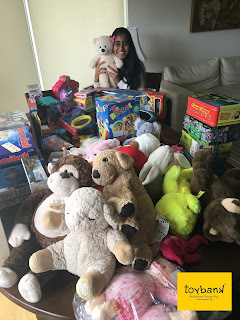 iVolunteer has placed me with Toybank, a non profit organization.Though I am newly exposed to this field of volunteering, I can perceive that Toybank plays a very crucial role in giving children back the right to a childhood. The match was unique in its place as the players as well as the spectators were visually impaired and their efforts and their enthusiasm was unbounded. I was given the task of knowing the children in a better way. I had to note details like their names, age and their ambition in life. Interviewing them tears ran down my eyes. These little angels did not dream with their eyes but they felt their dreams in their heart. The smile that they had on their face was worth millions. The first little kid that I chatted with was Maulik who said that his dream was to be a great cook cause he just loves food! These little kids aspire to become computer engineers, doctors, cricketers, business men, singers and musicians. Fateh wants to become a racer, Abu who wants to be a famous tailor, Ravi who wants to be a tabla player, Rahul who wants to be a chess player, Mayur, a yoga teacher and Tushar a flute player.These kids seemed very confident of their ambitions in life. After the prize distribution I on behalf of Toybank distributed toys to these kids who were so happy to receive them. My happiness too knew no bounds. There was an immense feeling of joy and satisfaction within. I too was given a small token of their (RCC) appreciation. I pray to God may he give me such wonderful opportunities where in I can share what he has given me and may he give us all the strength to help in whatever way we can."